Although the climate of the Finger Lakes is ideally suited for producing world-class Rieslings, the region isn’t commonly associated with exceptional wines… at least not yet. 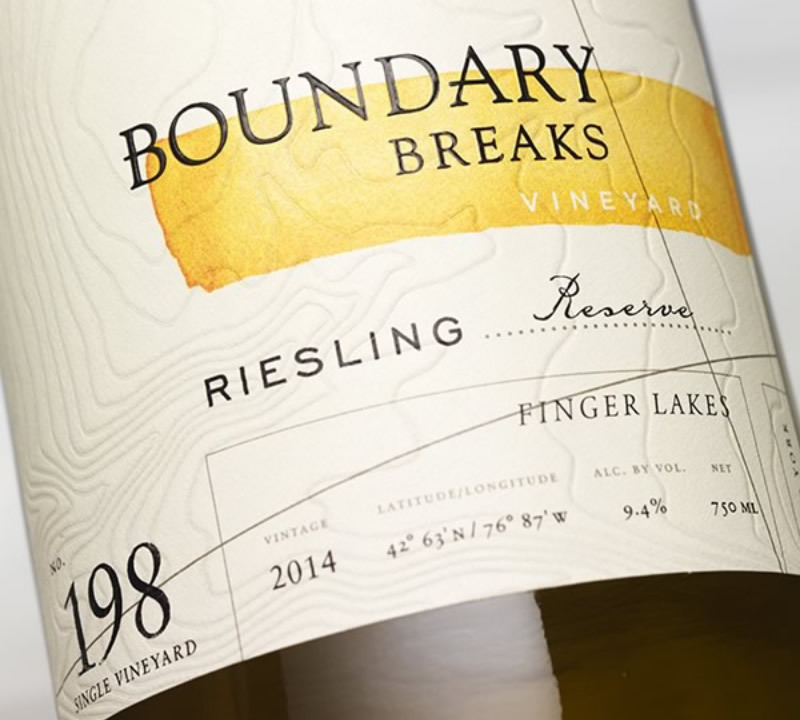 When Boundary Breaks came to CF Napa to update their packaging, the challenge was to create a more sophisticated design solution that matched the quality of the product inside the bottle. Furthermore, the packaging solution needed better "shelf pop", a greater level of differentiation between SKUs, and a quality promise that appealed to the target consumer. 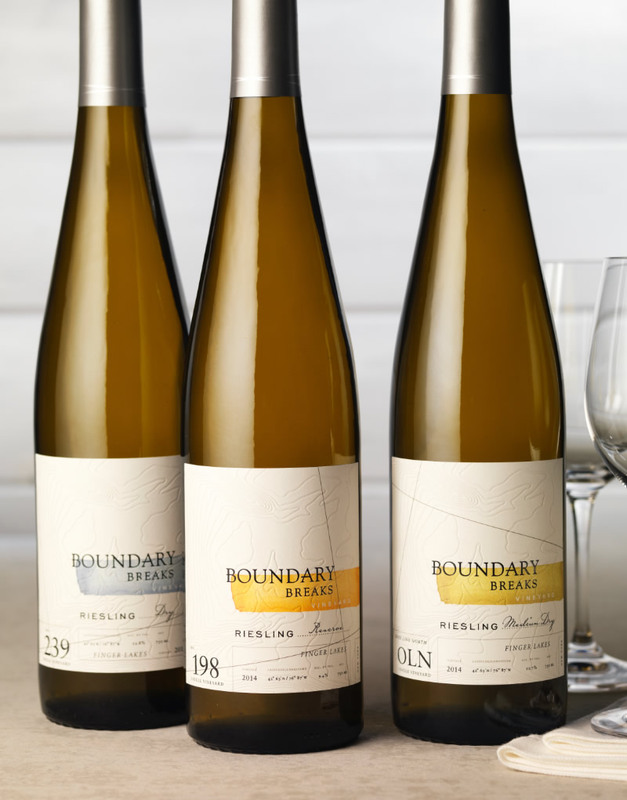 The name “Boundary Breaks” comes from the two ravines – or “breaks” in the landscape – on the northern and southern boundaries of the vineyards and is a direct nod to the place where the wine is grown. To communicate the "terroir-driven” style of the wines, CF Napa reimagined the topographical map motif to make it look less scientific and more evocative and tactile. 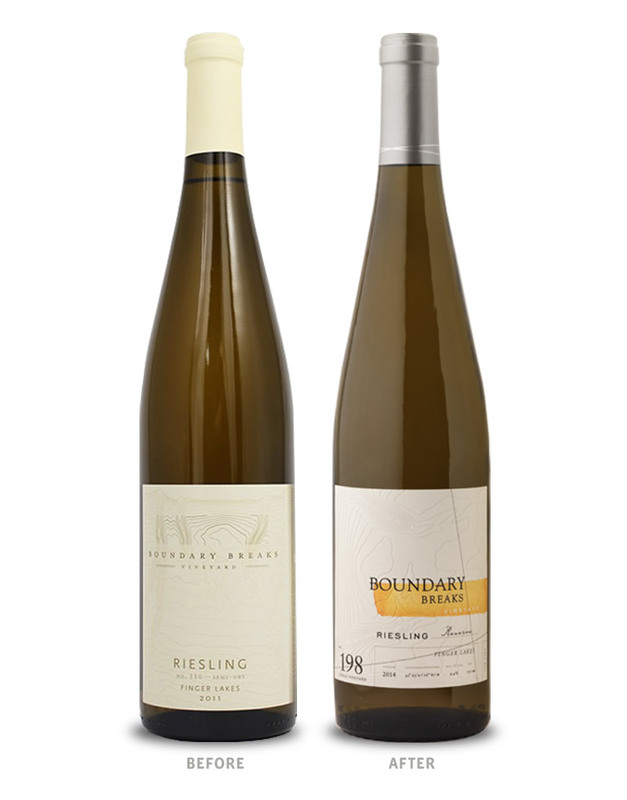 We added a brush stroke color swatch scheme that provides the right amount of hand-crafted, approachable cues, a clear system of differentiation between their various Rieslings, as well as some shelf impact for these exceptional wines.